This is a good time in the year, as we are about to change seasons, to look at how well your body is functioning. Have you over-indulged slightly more recently? It’s always a good time to give your body some form of ‘detox’. This doesn’t mean going on a juice cleanse, lemon detox or restricting yourself by any means. I am talking the type of detox where you amp up your wholefoods and really cut out the stressors!! 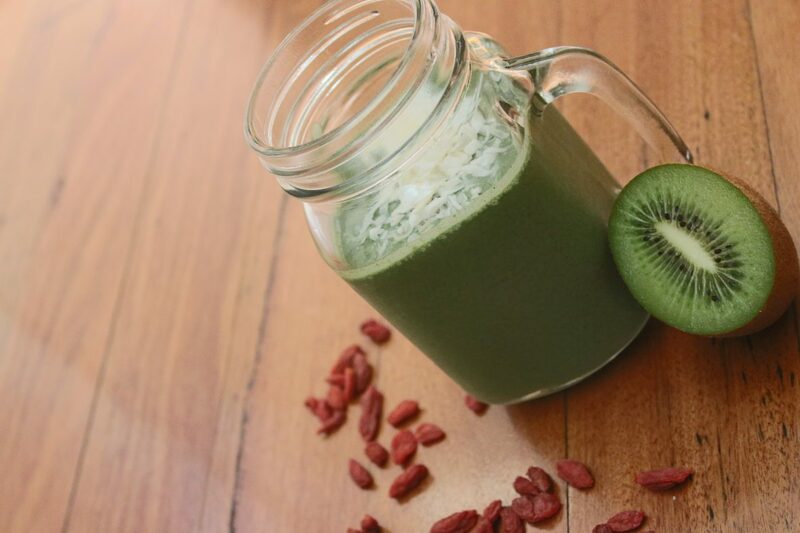 This powerhouse detoxing green smoothie is a great little addition to start your morning. I will write a post on the benefits of seasonal detoxing and safer ways to approach this, without going on some crazy fade detox. Please DONT do them, they only send your body into crazy imbalanced mayhem. If you are interested in a detox program specifically for you and your body, please shoot me an email and we can create something for you! It can be as simple as cutting alcohol and caffeine, adding in more plants 😀 SIMPLE. Shoot me an email if you would like further guidance! Add all ingredients to your blender or Nutribullet.